The playing annual membership subscription is £50 for both men and women. Social membership is £7 per annum and Junior membership is £5 per annum. Please download the membership form below. Completed forms should be returned to the Club Treasurer. 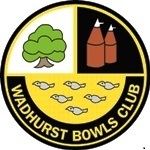 In order for us to be able to contact new members by post, e-mail and telephone (solely in connection with Wadhurst Bowls Club matters), we will need your written consent. Please download the GDPR form below, complete and return to our Club Secretary. If you would like to join/renew your membership of the Wadhurst Bowls Club '200 Club’, please download and complete the membership form below and return to the Club Treasurer.